Artist Yuliya Tsukerman took two weeks to perfectly recreate the infamous shower scene, shot-for-shot. Brooklyn-based artist Yuliya Tsukerman’s specialty is modern scrimshaw art on ostrich eggs. 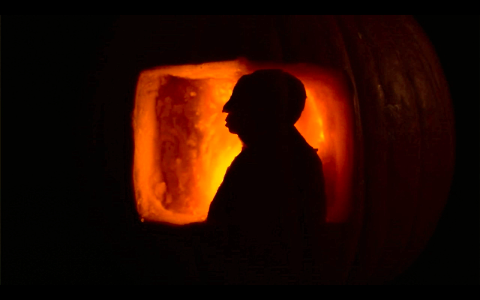 But at the beginning of October 2014, she decided to take her carving skills and a couple of weeks to carve the entirety of the infamous shower scene from Alfred Hitchcock’s ‘Psycho’ into pumpkins. Then she photographed each part of her “Psych-O-Lantern” project with her “Canon something-or-other.” She relied solely on those still shots to do the stop-motion animation video above, without relying on editing software or equipment. Tsukerman says she used a bunch of different tools to carve these pumpkins, from linoleum carving tools, to woodcutting tools, to hobby knives. Don’t worry if your pumpkin-carving game isn’t this good; we’re pretty sure almost no one’s is. We’re also pretty sure this is the best possible way to get into the spirit of Halloween, particularly if you’re stuck at work today.